Caldera Mountain in Lobos Island, Fuerteventura. 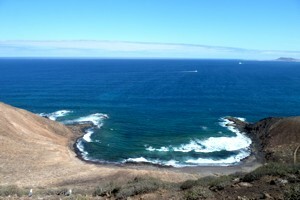 If you travel to Fuerteventura I recommend you visit one of its greatest treasures: La Isla de Lobos. On this island, you can spend a very full day visiting a protected natural area of great beauty, perfectly preserved and performing various activities. One of the things you can do is hiking, and is what I propose: to climb the Mountain of Caldera, which is an ancient volcano 100METERS a little more height, from where you have stunning views of this small island , Lanzarote and Fuerteventura. It is a simple excursion for all ages, beginning in the spring where ships dock to take you from Corralejo to Isla de Lobos. Here we take the path that is perfectly suited to the west (left). 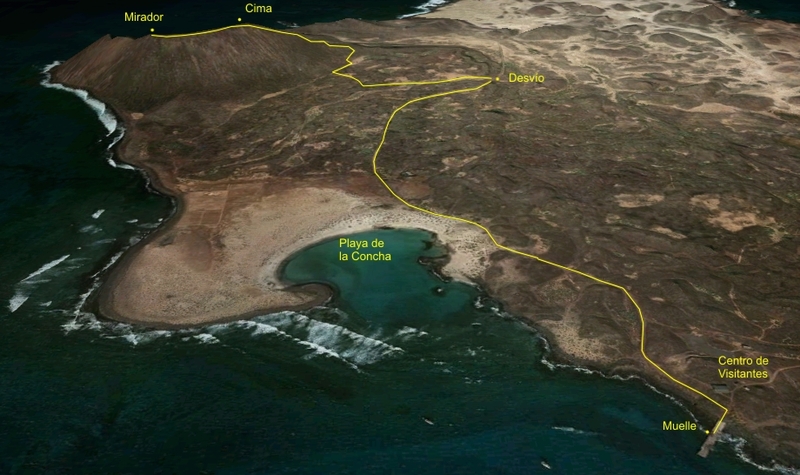 At 700 meters we reached the beach of La Caleta, the leave to the left. We followed the trail and a mile later we find a detour that leads directly to the Mountain of the Caldera. This detour runs about 400 meters without unevenness, but from here begins the ascent of a small path, which although short (500 meters), the slope is so great care must be taken in the ascent. When we reach the top with magnificent views of the island of Lobos, which features a Bat Cove, which is the crater of the volcano, the Faro de Martino north of the island, or the dunes of Corralejo, or the island of Lanzarote .